Summer is the perfect time in Santa Fe to enjoy a variety of outdoor water sports and activities. From embarking along hiking trails to soaking in history during some Santa Fe tours, there are some fascinating ways to spend your time outdoors. But when the sun is hot, a refreshing water sport may be just what you need! When you book a Santa Fe Rafting Company outing, you will get to cool off while also taking in beautiful landscapes and enjoying a thrilling ride. Make a splash today with your Santa Fe Rafting Company adventure! 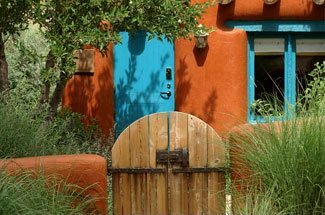 For more information on how to spend your time outdoors, download our free Santa Fe Vacation Guide! It features everything from horseback riding to whitewater rafting. 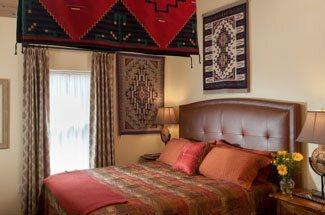 Looking for a way to simultaneously cool off and relax during your Santa Fe vacation? A half-day float through the lower Rio Grande Gorge is the perfect activity! With the Santa Fe Rafting Company, you can enjoy this unique rafting experience along with a snack served on the river. Float five miles down the river while taking in the beautiful sights and sounds of the surrounding nature. This one-of-a-kind trip departs at 9 a.m. and noon from mid-April through the summer and into early fall. The Rio Chama is a favorite place in Santa Fe for fun water activities. One of the state’s most gorgeous treasures, the Rio Chama is a beautiful wild and scenic river. Drift and swim with the Santa Fe Rafting Company, and take a break with an afternoon hike down one of the surrounding side trails. Awe-inspiring mountain vistas rise in the distance, while trees and underbrush dot the landscape in a picturesque display. You can enjoy a one-time trip or a multi-day float depending on how adventurous you are willing to be! One great half-day trip that the Santa Fe Rafting Company offers is along the Racecourse. One of the oldest river races in the United States, this course boats over the Albert Falls, through the Narrows, and past Big Rock. At high water, you will also confront the awesome wave at Souse Hole! This six-mile trek is sure to be a thrilling adventure, and with a team of rafters, you won’t be alone when you get wet! For a full day expedition, you can extend your journey with the river flows of the Taos Box. The perfect place to return after a thrilling adventure on the water is our quaint bed and breakfast. Enjoy our private, quiet courtyard filled with serene plants and peaceful landscaping. Or, curl up in the comfort of your own guest room. Browse our unique rooms to choose the best fit for your vacation! Whether you’re looking for local art and Southwestern decor or a luxury tub for soaking away the stress, we’ve got you covered. Then, after resting up for the evening, join us for breakfast in the morning before even more Santa Fe adventures.